We "carpooled up" to Franklin basin with 3 vehicles and 8 hikers: Dave W., Dave P., Dan (the hike leader), Denis, Alexi, Terry, and Ryan. After dropping a shuttle vehicle off at Steep Hollow, we continued over the Idaho Border and parked at the White Canyon/Boss Canyon trailhead. About 9:35 A.M. we started hiking south, crossed the stream twice, then headed west into Boss canyon under grey skies. 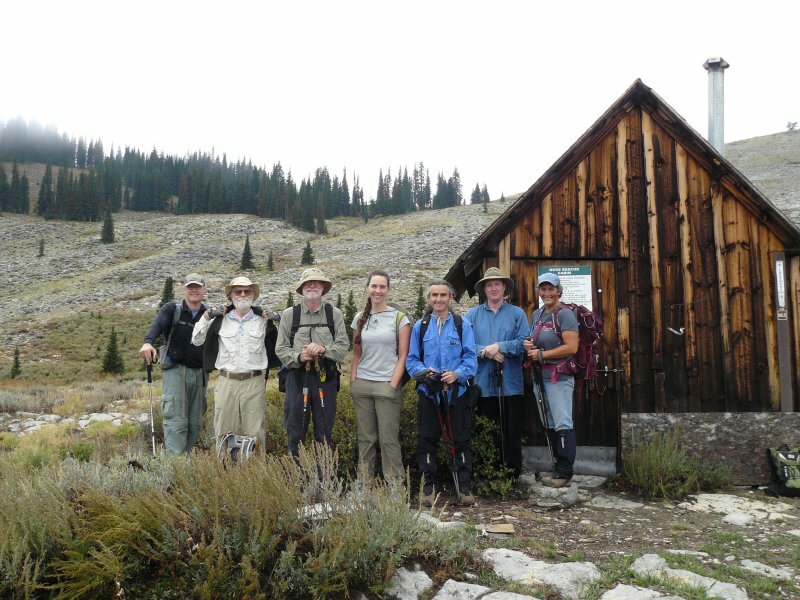 At 11:30 we stopped at the "rescue cabin" just above treeline at the top of Boss canyon for an early lunch and pictures. The temperature was perfect. We then climbed to the ridge and headed south with views of Cache Valley and north fork High Creek as well as toward Franklin basin. Our hike along the ridge crossed over two small peaks along the way, then the trail skirted the west side of the third peak and arrived at the saddle just north of Doubletop. Here we split into three groups: Dave P stayed at the saddle while Jim and Dan hiked part way up Doubletop to look for pikas while the others hiked to the higher south summit of Doubletop Mountain. 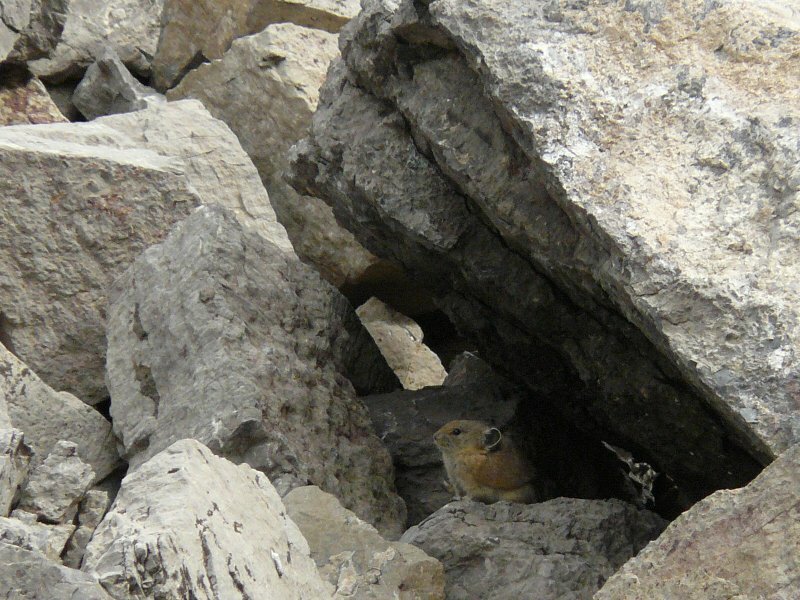 Jim and Dan listened to the pika's squeaky calls while watching several active and noisy Clark's Nutcrackers. 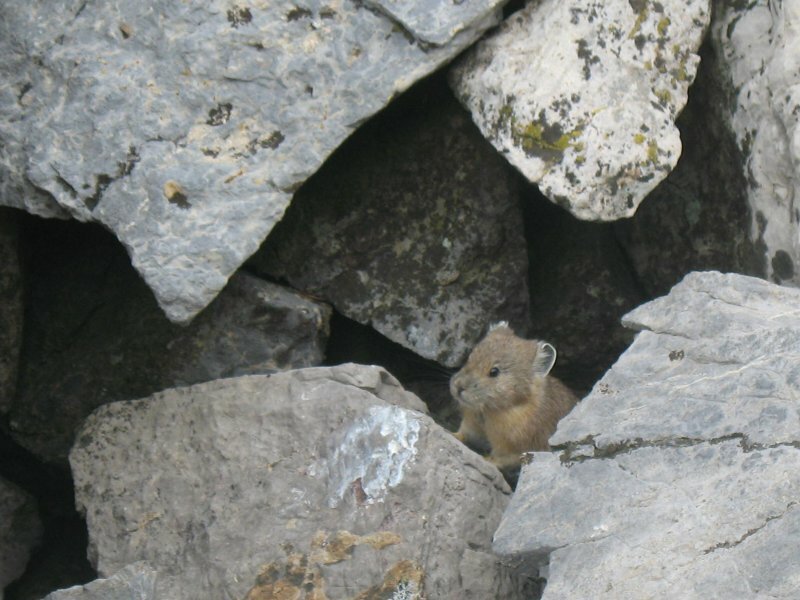 Dan and Ryan managed to take some good photos of pikas in the notch between the two Doubletop summits (click here for more information about this interesting little animal). 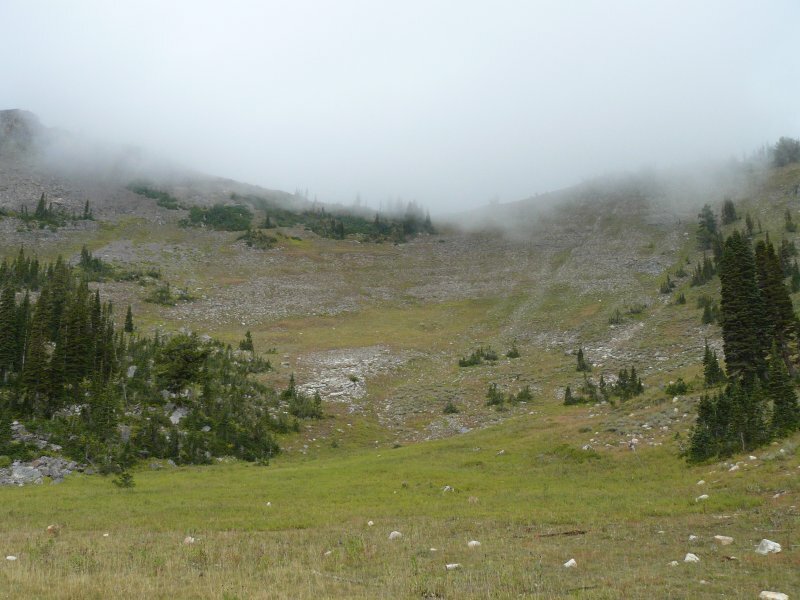 The group then made the very steep off-trail descent into "the basin", a cirque just to the east of Doubletop. We then followed intermittent trails and continued down Steep Hollow. The group was halfway down when a storm hit, obliging us to don rain gear. Lightning struck nearby, but fortunately this did not happen while we were in an exposed position on the ridge. On the way down we walked on the jeep road, past the turn to Crescent Lake and the new sign for Shorty's cutoff, arriving at the shuttle vehicle about 5:00 P.M.